Well, it’s happened again… an online retailer has beat WOTC to the punch in announcing release dates future material. The Barnes and Noble webstore has pages for two 5e products, a starter set valued at $19.99 and the Player’s Handbook, which arrives with a cover price of $49.95. The items release on July 15th and August 19th respectively. Interestingly, there’s no listing for the Dungeon Master’s Guide and Monster Manual. Whether they release on the same day as the PHB remains to be seen, although I would be inclined to believe that they are. My next thoughts are just personal opinions on D&D as a published product, and my personal preferences. If you don’t care about opinions, stop reading, follow the links I provided, and enjoy the great news. We have release dates! Habemus D&D. On a personal level, I’m a bit disappointed in that the 3 book release format (assuming this is the way it’s going to be released, and I have no idea if it is) will once again be the way we get D&D. While it’s part of the D&D tradition at this point, I really would just prefer one single fat book with all I need to play, with supplements available as PDFs. Single books in the style of Edge of the Empire, 13th Age, Rules Cyclopedia, and to an extent even Pathfinder which includes most you need to play in one book (since monsters are all freely available online using the SRD). I would gladly pay $60-$70 for a book that includes everything I need to get rolling. A $50 PHB sounds like a similar price is coming for the other two books (if the 4e model holds). That’s a hefty $150 for all three books. Oh, and PDFs? At this point I expect them to release alongside print, and would be really disappointed if they weren’t an option. Even if it’s a waiting period of a few months after the print launch, I want to see pdf’s. Having said that, chances are we will find the books cheaper online once they release, so I doubt most would pay full price for their D&D experience anyway, but still, price is a concern for more than one gamer. Not everyone has deep pockets. As far as the starter set is concerned, I was so disappointed in the 4e red box that I’m not even thinking about this as an option for me. Starter sets are important products that shouldn’t be seen as after thoughts. I hope they get this one right. They should look at Pathfinder’s for inspiration. Can’t help but wonder what the “starter kit” consists of, especially given that it’s a month prior to the PHB. And it’s also interesting the the official day for the PHB is two days *after* GenCon 2014 ends. I can only assume they’ll be selling those in full force during the convention. I would hope it’s similar to the Pathfinder box, and completely different from the shameful 4e red box. Something akin to the Edge of the Empire beginner’s box would be cool. 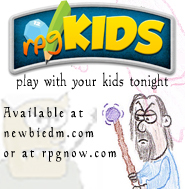 Maybe the PHB will include all you need to play! Its still a ways off so I’m not making up my mind yet, but if the entry cost is going to be over a $100 I’ll quietly move on to one of my backlog of games, or try out one of the newer more inventive systems. I’ve enjoyed the play test but I really don’t see the need to pay that much for a game. Especially when its not really bringing anything new to the table. I’ve really liked the fast paced combat, but other than that nothing has WOWED me. Most of my gaming group can take it or leave it. Yeah, I love my D&D, but $50 for a PHB (and the suspicion of another two $50 price tags to go with that) is a lot to swallow. I’m with Tony – nothing about this strikes me as must-have. I still have plenty of life in my 4E books and materials for other RPGs. And that $20 starter set seems really sketchy if just the PHB costs 2.5 times as much. Place in the graphics card right into a PCI Express slot for the motherboard. a complete entertainment machine, you might want to look into obtaining a Blu-Ray player. a great experience with the games. monitor, you may play in low-medium resolutions and do not need to spend too much on PC.